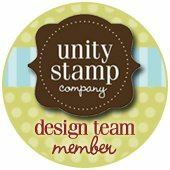 Hi - Love them all but for all different reasons, even if they are all the same design... But I guess my fav is the marina mist cos I luv my blues! Well I usually love blue and I do like this blue card, but I really love the green one! This is great! I like all 3. 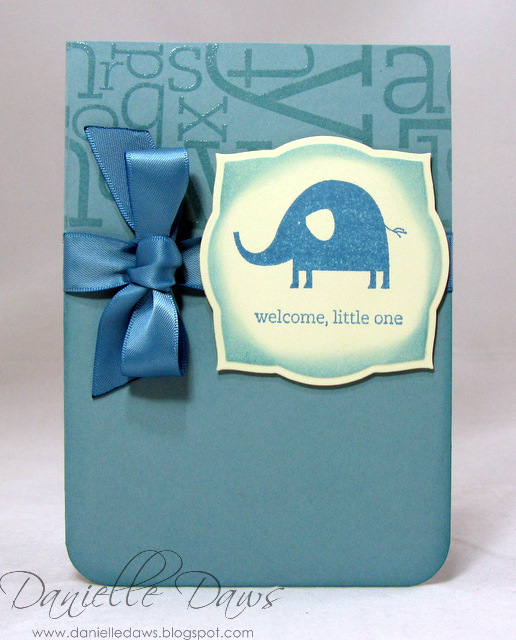 I love the embossed letters in the background! Great monochromatic cards!! But it's green for me, as I not a blue or a pink girl. These are fabulous Danielle. I think I prefer the green one, but only because the embossed letters pop more. They're all great but I love Pear Pizzazz, though I thought it was Old Olive or something at first! Georgeous! ooooo....I love the green! And the ribbon is gorgeous! Yep I love the green one too. Fab cards all of them. I loved the green one too but my daughter Ellen says pink. These are so sweet, think the green is my fav!! They are all sweet and it shows how one design can give such different looks to each card. I love all the colours DD, can't decide! Gorgeous ... love the blue! 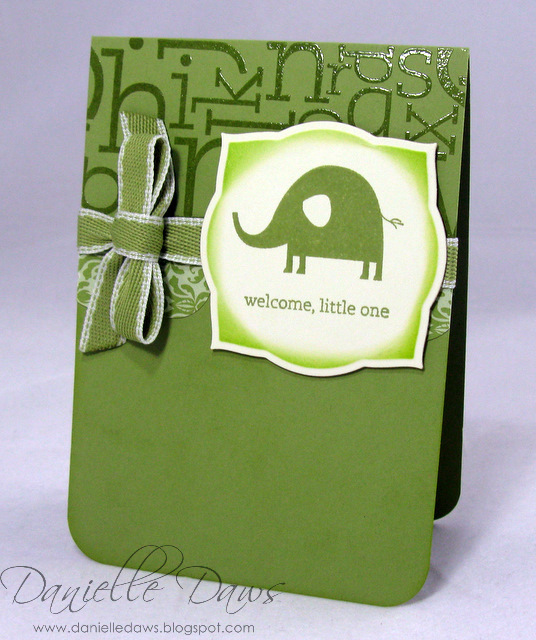 Love the design Danielle, the embossed letters add so much! As to colour I can't decided between the blue or the pink - really they are all gorgeous! I love them all and can't possibly choose a favourite. Maybe the pink...they are all lovely. the blue, no, the pink. no, the green - love them all!! Eeny, meanie, miny ... they're all fabby. Love them all! 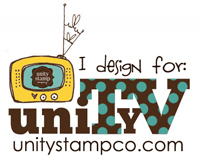 Great design, clean, simple and so sweet! I think my favourite is the green one! Great cards, and while I am not a hugely green person, I think that one stands out to me the most, looks terrific.